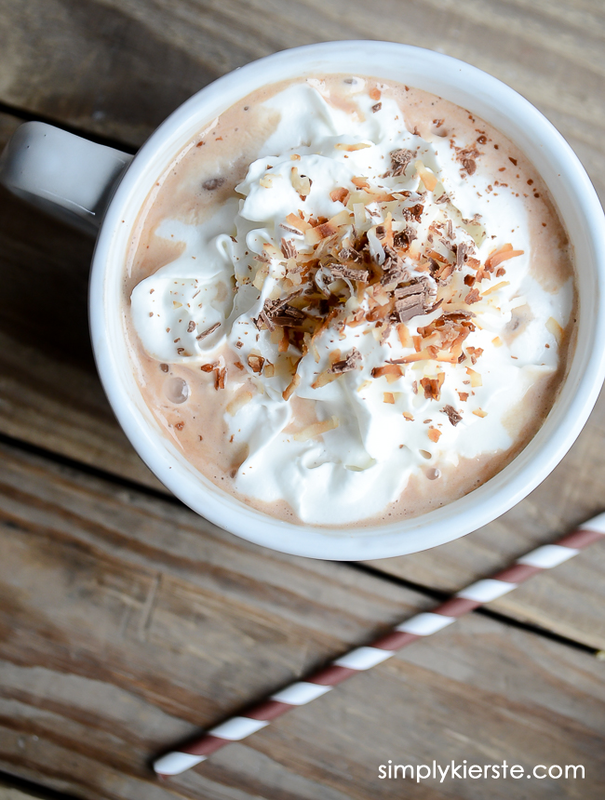 The hot chocolate is coconut-flavored, but it’s a subtle flavor that’s smooth, rich, and creamy. 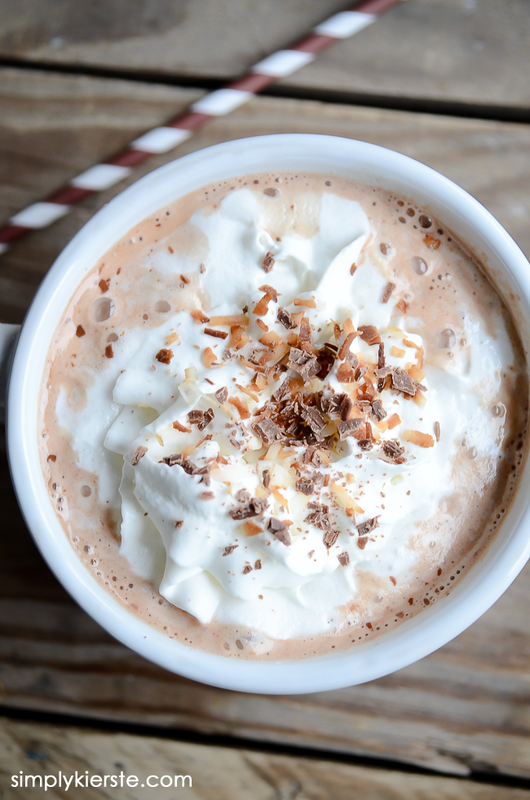 It tastes very fancy, even though it’s super easy! 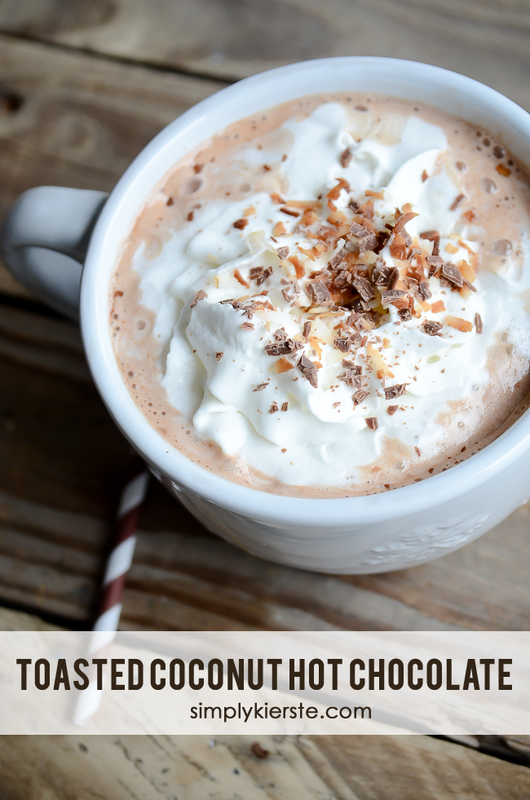 There are actually only THREE ingredients in the hot chocolate itself, and then I like to add a little toasted coconut and chocolate shavings on top to really fancy it up! 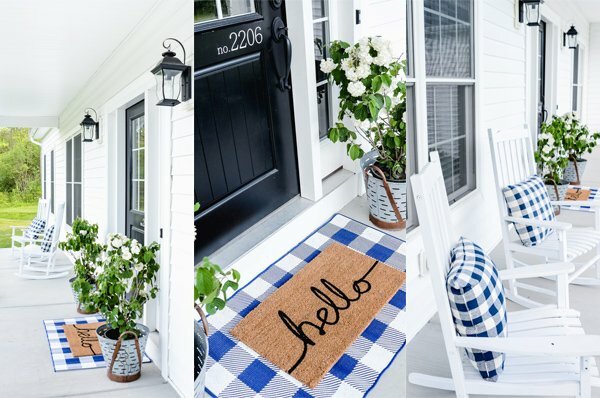 This would be perfect to serve to guests, if you have company coming to stay with you–it would be a delightful addition to breakfast or brunch, or even at night while you’re chatting and hanging out. 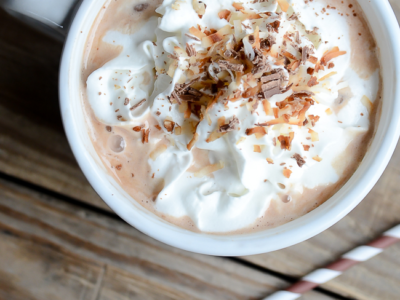 You can make it in the crockpot, and keep it warm if you want to serve it at a party, then have little bowls of chocolate shavings and toasted coconut ready for the toppings. Coconut milk is really rich and thick, so if you feel like adding more regular milk than the recipe calls for to thin it out, you can–it’s pretty forgiving. All-in-all, it’s definitely a new favorite! Enjoy!! In a large saucepan, melt the coconut milk and chocolate chips over medium heat, stirring pretty regularly. When the chocolate chips are melted, slowly add the regular milk. Start with 4 cups, and add more to taste, and depending on if you like it a little bit thicker, or on the thinner side. Heat through. In a large skillet, toast the sweetened coconut over medium heat--stir constantly with a wooden spoon until they become golden brown. It doesn't take long! 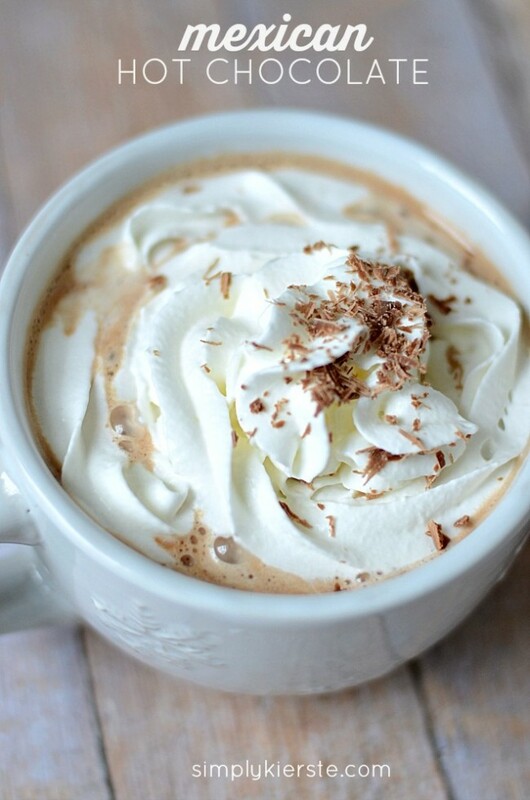 To serve, top the hot chocolate with whipped cream, toasted coconut, and chocolate shavings. 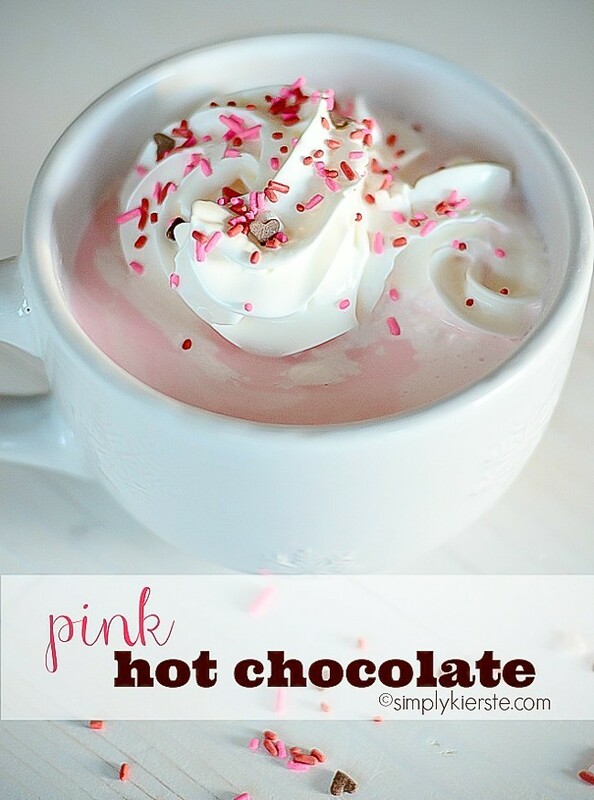 And even a Pink Hot Chocolate for Valentine’s Day! I just subbed out the chocolate chips for white chocolate chips in the original recipe. SO fun! That sounds delicious and I can’t wait to try it. 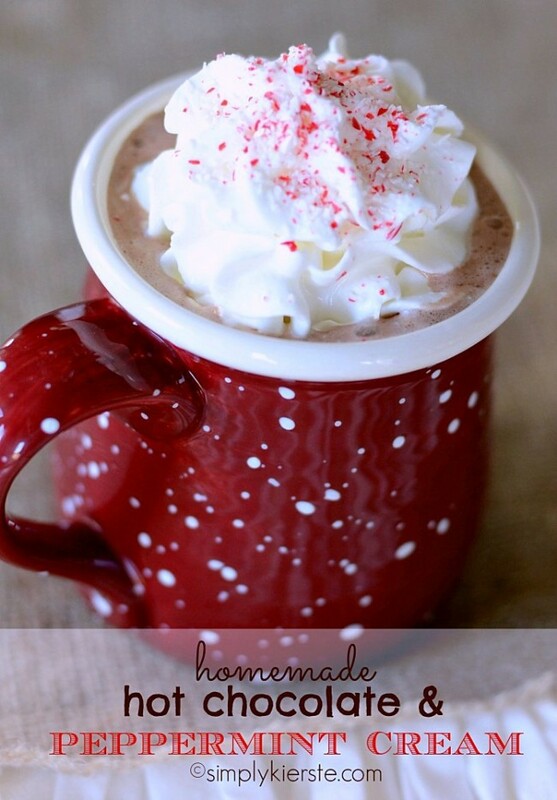 You said you make homemade hot chocolate most of the time…Will you share your basic recipe and some of the flavor combinations you use? Thank you!!! I might just have to surprise my kids when they get home from school today!